Home > Blog > Grinding Teeth at Night? Try a Custom Mouthguard! Do you wake up exhausted with a throbbing headache even though you tried to get a good night’s sleep? Perhaps you have even experienced some jaw pain or stiffness in your face and shoulders in the morning. If so, you might suffer from bruxism, a condition in which people grind or clench their teeth. Read on to find out more about this common problem and what you can do about it. Teeth grinding is actually a relatively normal problem. 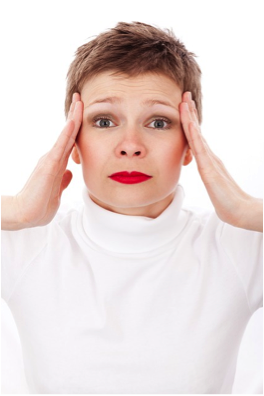 Unfortunately, bruxism occurs in approximately 8% of adults. Furthermore, about one-third of parents report symptoms of teeth grinding in their children. Teeth grinding can occur day or night, but typically, the damage associated with nighttime grinding is much more severe than that found with teeth grinding during the daytime. What Causes People to Grind Their Teeth at Night? While stress is often a culprit, bruxism can also be caused by an abnormal bite and missing or crooked teeth. Sleep apnea, the inability to sleep through the night due to inconsistent breathing patterns, as well as the use of certain medications can also result in teeth grinding. One study has even linked bruxism to alcohol consumption, smoking, and caffeine. As you can see, there are a number of different reasons for why someone might experience this common problem. Bruxism can lead to fracturing, tooth loss, and TMJ. Sometimes teeth become so worn down from the grinding that they will require bridges, crowns, root canals, implants, and even dentures to strengthen the enamel again. Fortunately, mouthguards can play a vital role in minimizing the damaging effects of teeth grinding. Mouthguards separate the teeth, which prevents them from wearing down. This eliminates the need for complicated dental procedures to correct the problems associated with teeth grinding. Why Should I Get a Mouthguard from My Dentist? Are the Ones at the Drugstore Not Good Enough? You are probably familiar with the phrase, “You get what you pay for.” This phrase reigns true with mouthguards. There is a world of difference between a custom-fit professional mouthguard and one you can buy at the drugstore. For one thing, many of the drugstore mouthguards use lower-quality materials, making them more difficult to sleep in comfortably. Additionally, a custom-fit is very important for mouth grinders to ensure that they are not actually worsening their dental problems. Our professional mouthguards offer a perfect fit, and they are made with high-quality materials to offer long-lasting protection and a comfortable night’s sleep. How Will a Custom Mouthguard Improve My Life? A high-quality custom mouthguard is one of the most worthwhile investments you can make. Not only will it alleviate the morning pain and headache of teeth grinding, but it will also prevent you from doing extensive damage to your mouth that would be far more costly to fix. With a mouthguard for grinding teeth, you will sleep more comfortably, experience less pain, improve your bite, and save money on future dental procedures. If you grind your teeth, we encourage you to contact us to schedule an appointment. We cannot wait to get started on creating your custom dental mouthguard to keep your teeth in tip-top shape!